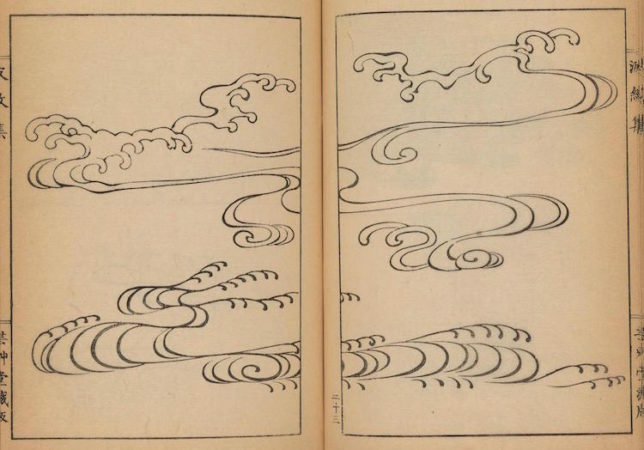 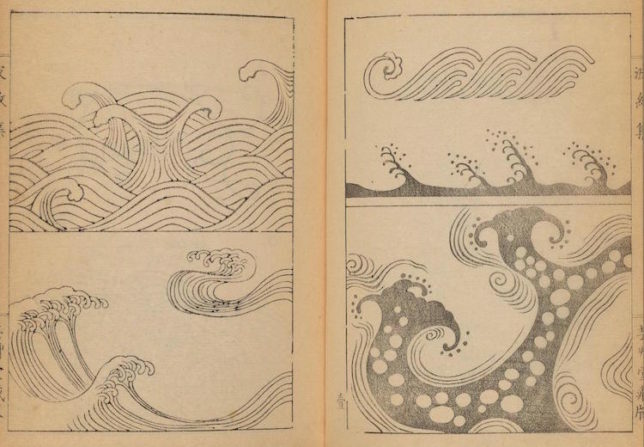 In Japan, an island nation, waves are symbols long found in a vast array of art, design and craft from around the country, which one author decided to systemize in a three-book series now available for free online. 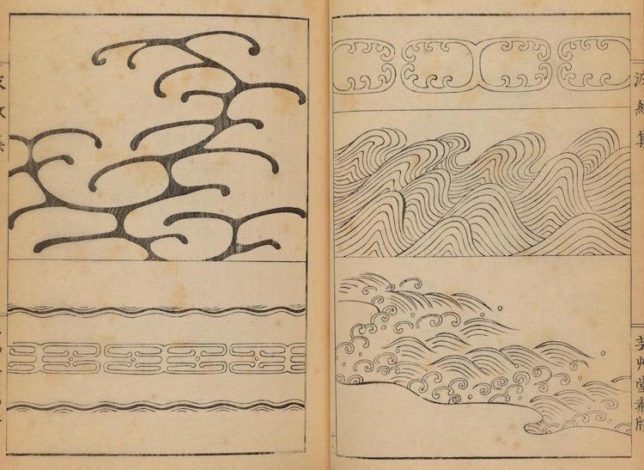 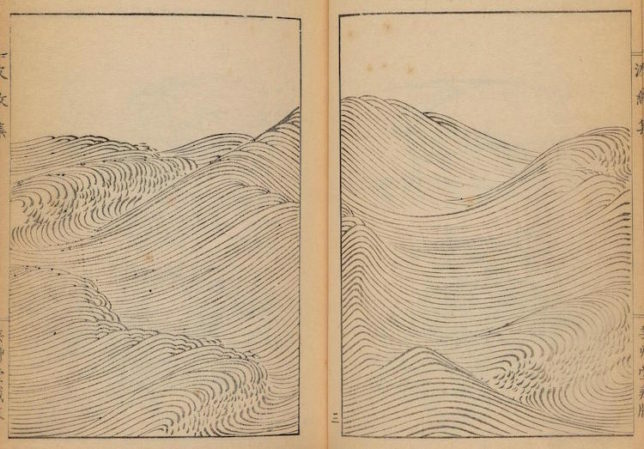 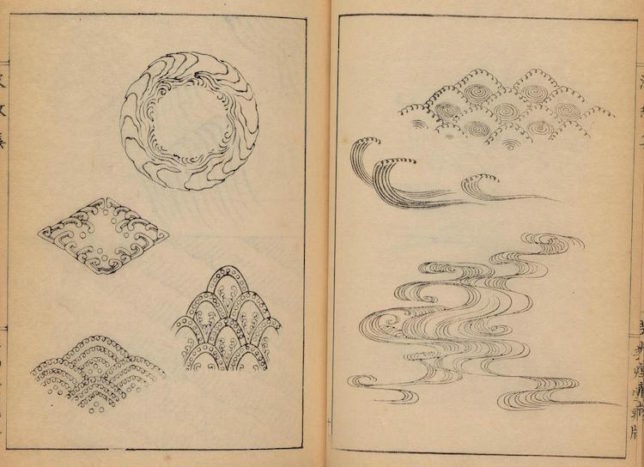 The sheer variety of waves in these volumes alone is mesmerizing, all fitting into a style yet representing various applications as borders, backgrounds and design details suitable for all sorts of applications.. 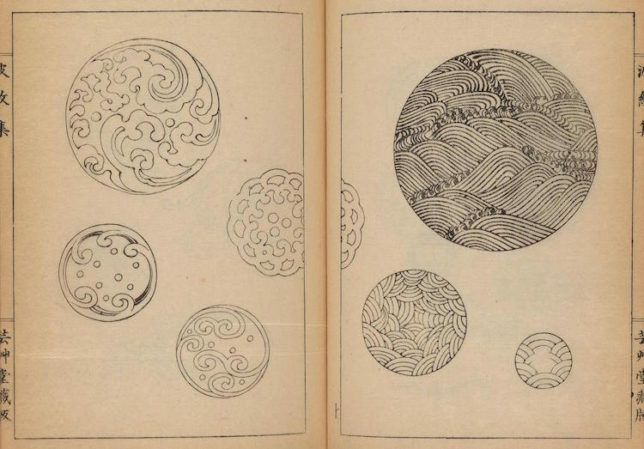 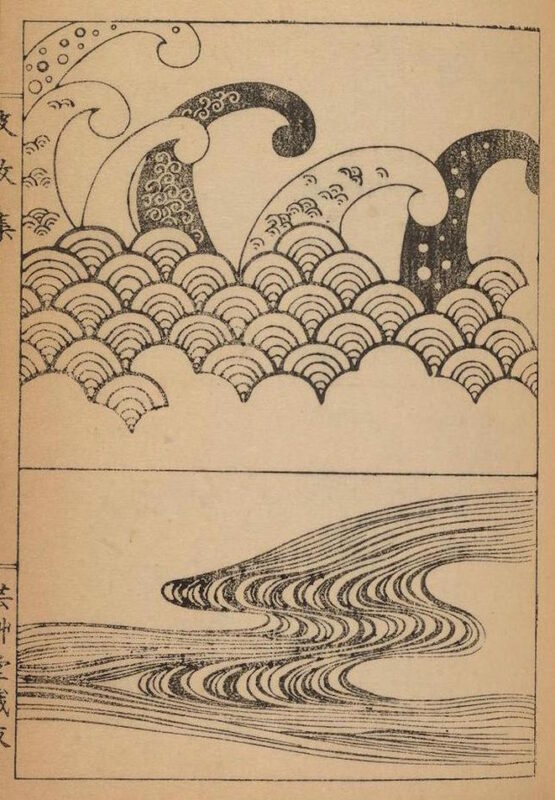 These Nihonga style (Japanese painting) graphics, typically applied to Japanese washi paper with brushes, can also be applied to anything from everyday ceramics to religious objects, swords, scrolls and wall art. 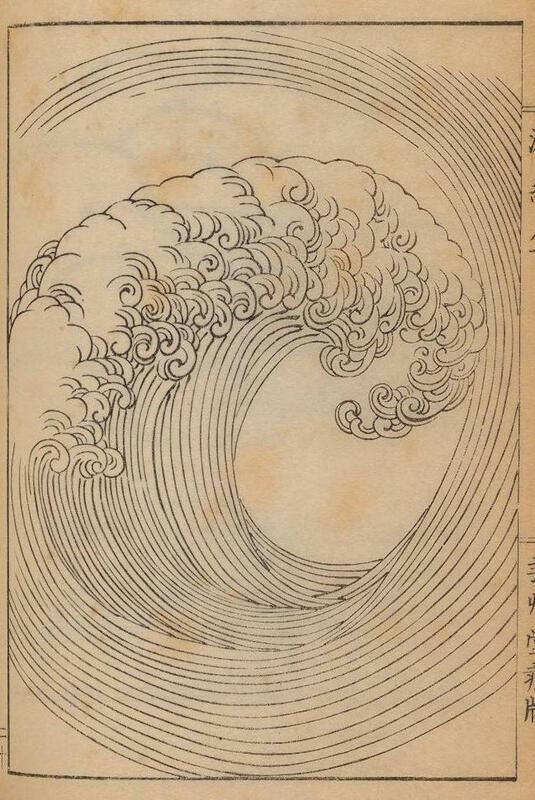 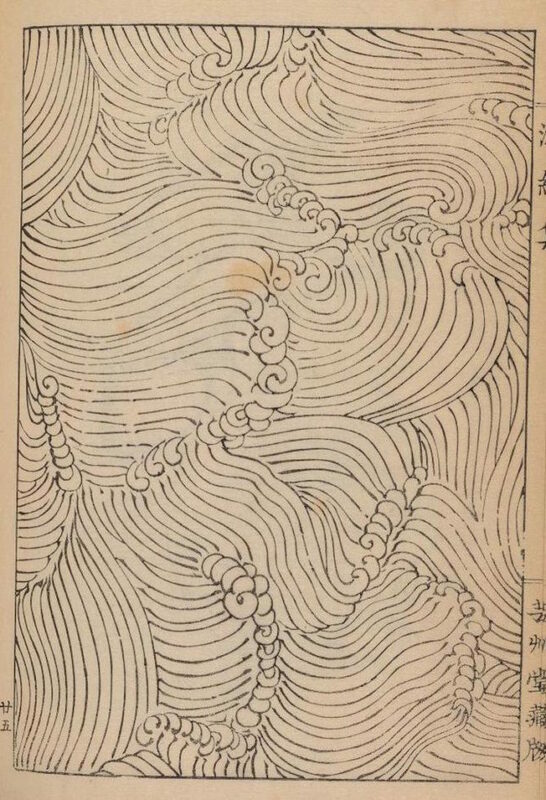 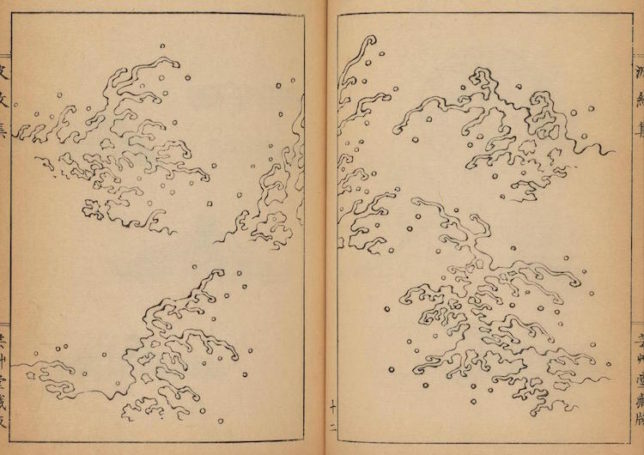 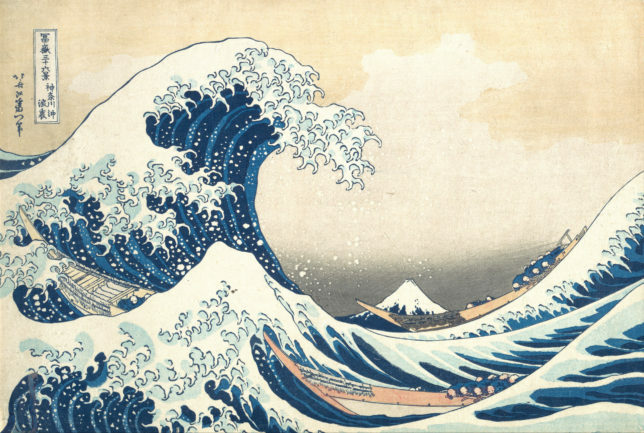 Perhaps the most famous application of waves remains the Great Wave of Kanagawa, a classic image from the 1800s featuring an enormous wave threatening boats off the coast of the present-day city of Yokohama. 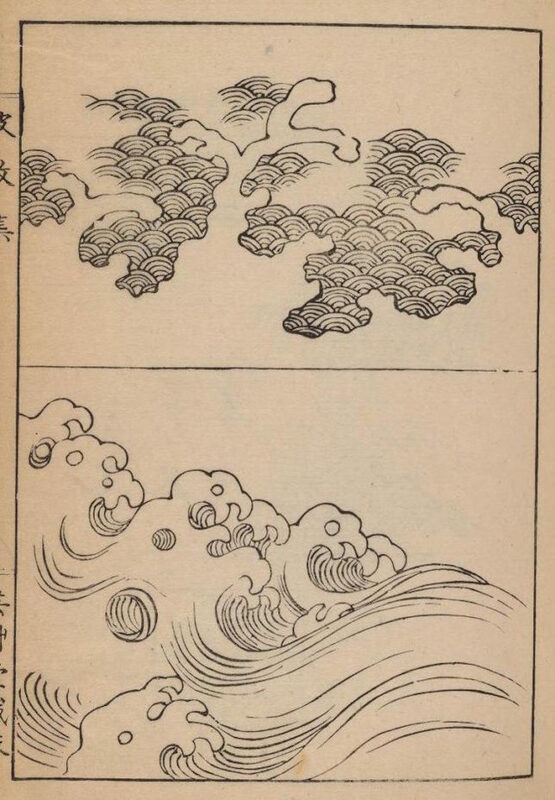 While sometimes assumed to be a tsunami, the wave is more likely to be a large rogue wave. 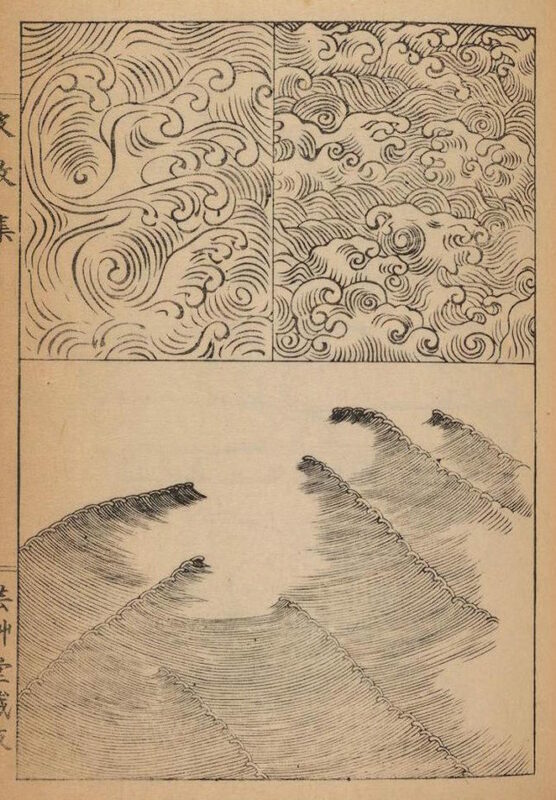 As in many of the prints in the series, it depicts the area around Mount Fuji under particular conditions, and the mountain itself appears in the background.